I read this article and found it very interesting, thought it might be something for you. The article is called Top 5 Dublin Bars and is located at https://www.totallydublin.ie/more/top-5-dublin-bars/. 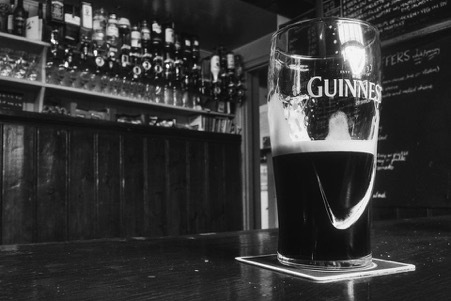 When someone mentions Ireland and bars, the first thing that pops up in mind is a pint of Guinness. However, there is much more to the drinking and celebratory culture of Ireland than just one drink. Whether it is St. Patrick’s Day or for that matter any other day of the year, there is a certain charm to life in Ireland that is complemented by its food and drinks. As with many other places in the world, when it comes to the capital city of Dublin, a bar is the best place to interact with locals and get a taste of some truly exceptional Irish treats. Among the best places to spend a lively evening in the heart of Dublin, Parnell Heritage is perfect for a mouth-watering meal or a friendly drinks session. 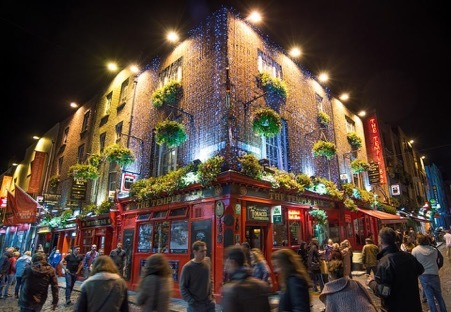 Situated near O’Connell’s street, the pub hosts live music, telecasts big sporting events, and has one of the trendiest rooftop bars in the country. One of the specialities of their rooftop space is that it is heated, which means it remains operational even during the winter season. If you are looking for something to drink, make sure to try the in-house special, Parnell’s Punch, with rum, sparkling orange, and cream. A bar in Dublin that divides people into two. There are those who love the history associated with the bar, but quite a few people think it is overrated and just an attraction for tourists. Whatever may be the case, a visit to The Temple Bar, even if it is to have one drink, is obligatory when visiting the city. The bar also hosts the Irish Rock ‘n’ Roll Music Experience which consists of memorabilia on display from bands and artists like Van Morrison, U2, and Snow Patrol. Established in 1840, if nothing else, visitors should at least take a photo outside the iconic red building of the bar to prove to family and friends that they were in Dublin. Staying miles ahead of the changing times, the Panti Bar is an LGBT bar situated on Capel Street. The interiors of this beautiful location are vibrant and full of colour. The furniture is plush, and there is a lot of neon all around. A stage at one end is ideal for small musical performances and bingo. The bar serves a unique craft beer that is manufactured primarily for them. An eccentric bar filled with unusual characters, this black and yellow building is a taproom, and a cocktail bar rolled into one. There is a country charm to the bar with barrels for tables on the outside, and the crowd is an assortment of tourists and regulars. Drop Dead Twice serves some delicious eggs and also offers a unique concept where visitors can pay for a 90 minute all you can drink menu. The Lucky Duck is a multilevel experience that has something for everyone, from the classic traditional pub like atmosphere to the classier and more intimate cocktail bar. Located on Aungier Street, The Lucky Duck was not in use for over two decades, until renovated into its present avatar. Visitors should try and grab a seat by the window for some genuinely magnificent city views of Dublin.